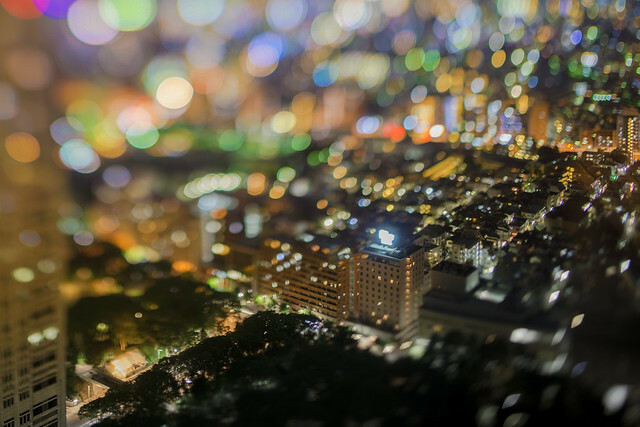 Flickr member Takashi Kitajima has an interesting album up on Flickr called extra bokeh and it’s loaded with an amazing collection of images of bokeh balls in the extreme. Most of his images are shot in Tokyo, Japan. 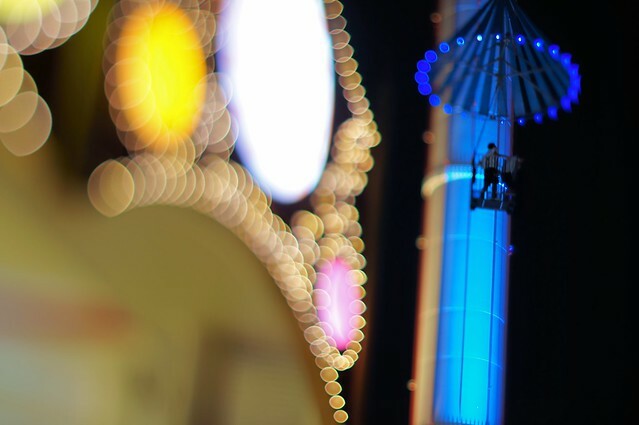 For those new to bokeh it’s an artifact of shallow depth of field photography, generally done with a fast (large aperture) lens wide open such that there is an area in front of and behind the subject that’s out of focus. If that area contains lights (car lights, etc.) 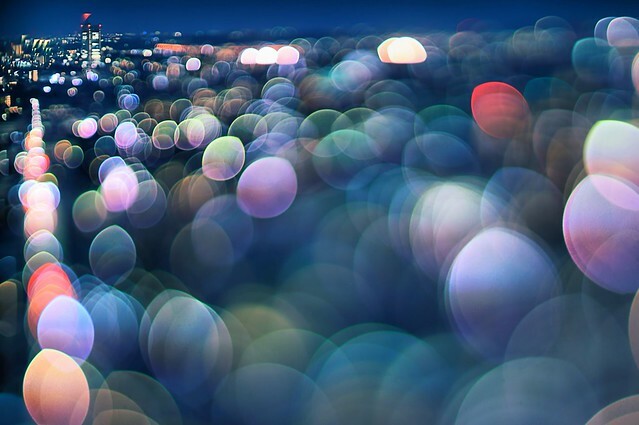 those lights blur up into bokeh balls. It’s a fun effect to play with and Takashi is a master. 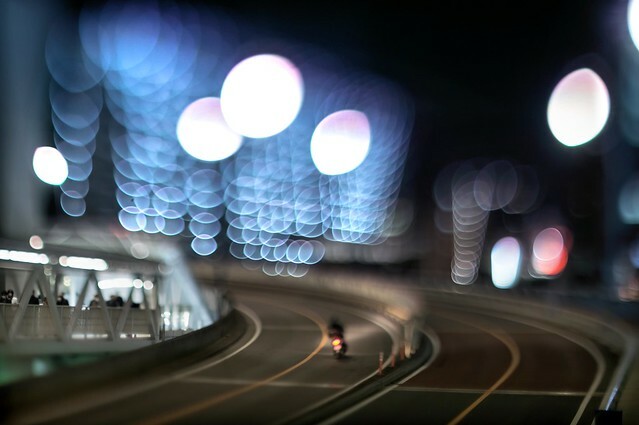 In his photography, the bokeh balls are the subject.